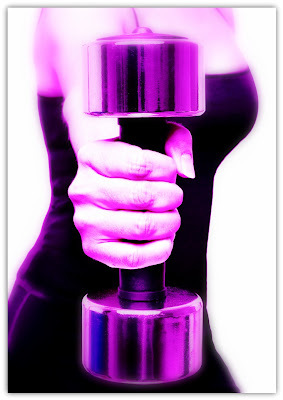 The Skinny - HEALTHeME's Official Blog: Fitness Myths De-bunked! There's much fitness information and misinformation floating around that you may be left feeling baffled. Should I run or not run? If I do run, do I have to run barefoot? Then, to crunch or not to crunch? Let’s take a look at some common fitness issues. When you want to tighten your tummy, you might be tempted to drop and do a whole bunch of crunches. But, research indicates traditional crunches may not be the best way to train your core. One classic study found that Pilates exercises were more effective than traditional crunches for working the major muscles of your core (rectus abdominis and obliques). So, there may be better ways to train your tummy, but are crunches dangerous? Probably not if you’re careful about the way you perform them! Some experts suggest maintaining neutral position of your back is the key to performing a safe and effective crunch. Contrary to popular belief, running isn’t just something for twenty-somethings! Several studies indicate running is not linked to a higher incidence of knee problems and may even be beneficial. If you’re ready to lace up your running shoes, you might be surprised to hear about a growing number of people who are running sans shoes. Is it safe and will barefoot running prevent injury? In one recent study, researchers found there is no difference between running barefoot or running in well-cushioned shoes with regards to injury. Quick Tip: start slow, build a good base of endurance by walking before you start jogging, listen to your body, and talk to your doctor before beginning any exercise program. Think you have to spend hours in the gym to be fit? One study demonstrates that less truly is more when it comes to getting your “fit” on! High intensity interval training (HIT), which involves short bursts of exercise followed by a brief period of rest, may provide the same muscle building benefits as longer, more traditional exercise sessions. Researchers in the study found that doing 10 one-minute bursts of exercise followed by one minute of rest 3 times per week elicited the same muscle-building effect as longer, more continuous exercise. Another, more recent study found high intensity interval training to be as effective as traditional training to reduce the risk of heart disease in children. However, this benefit was achieved with 85% less time! To be successful with this type of training, the intervals have to be high intensity; but that’s pretty do-able for most people because they know a break is coming. A word of caution: make sure you have a base of endurance from some regular cardiovascular exercise before taking on high intensity interval training. Can you control your health destiny? Help Your Heart by Going Meat-Free.